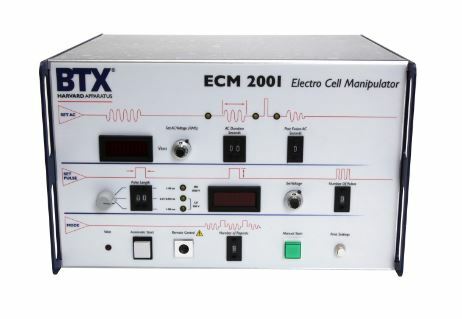 Coaxial chambers are used with the Hybrimune Hybridoma Production System, the ECM 2001+ Cell Fusion and Mammalian Electroporation System, and the ECM 2001 Electro Cell Fusion & Electroporation System. 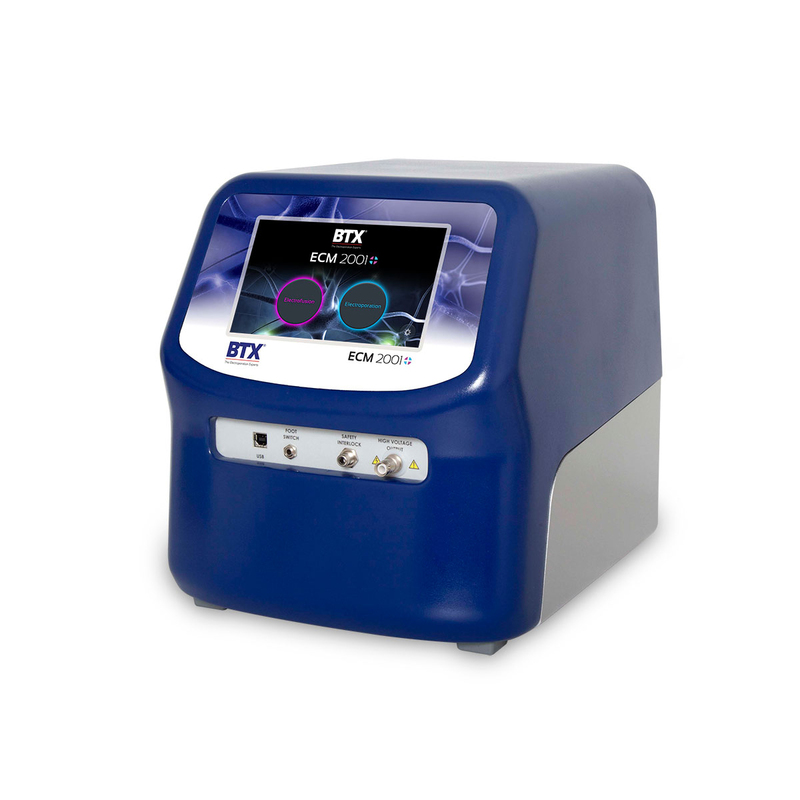 Both the 2 ml optimization and 9 ml production chambers have been engineered to have identical electrical characteristics to facilitate direct scale-up to production, once pulse parameters have been optimized. 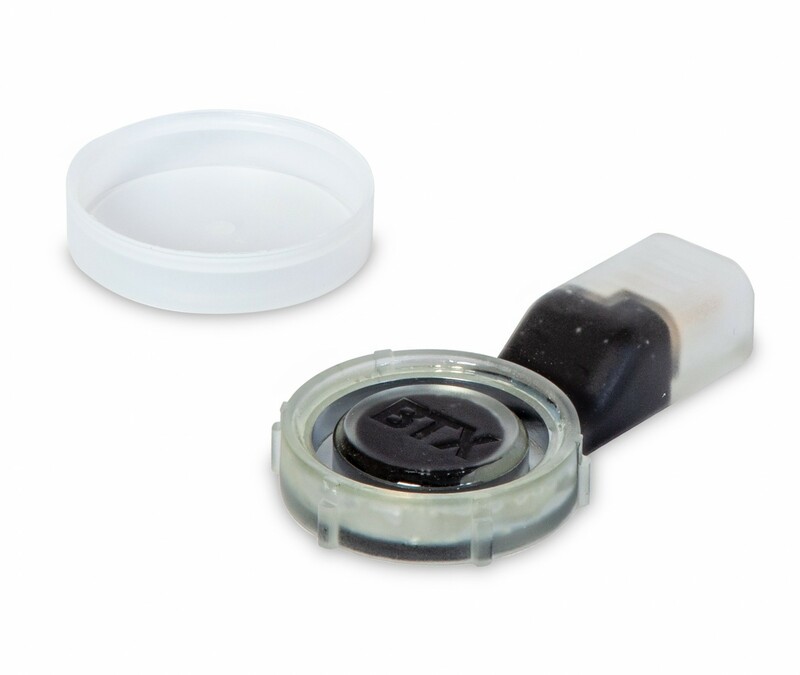 In addition, 2 ml chambers have a transparent bottom to permit visualization of the cell alignment by inverted or regular microscope. 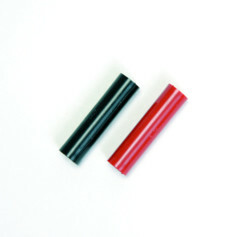 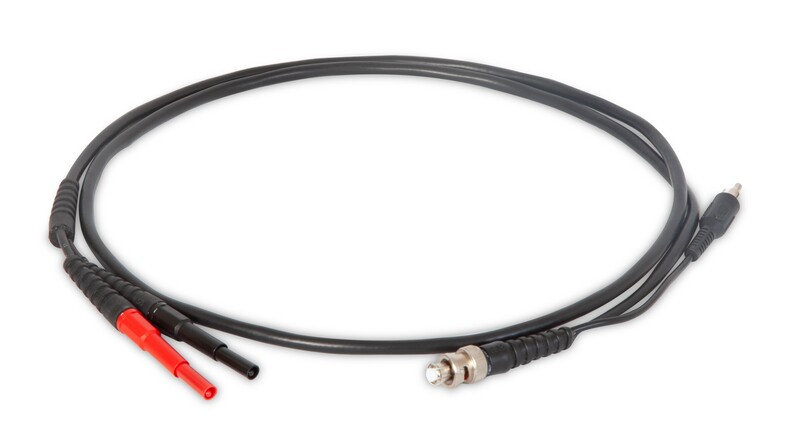 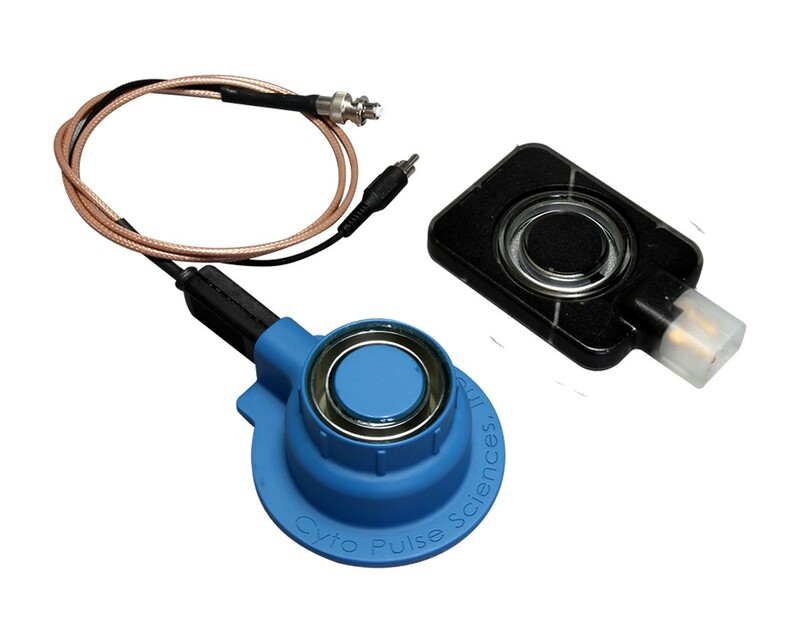 Warning: Hybrimune 2 ml chambers must not be used with voltages greater than 1,000 V.
In this example, the ECM 2001+ generator is connected using the sequence of cables and adapters illustrated below, then connected to the coaxial chamber. 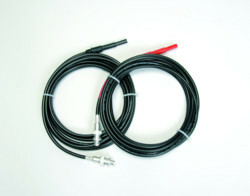 In this example, the Legacy ECM 2001 generator is connected using the sequence of cables and adapters illustrated below, then connected to the Coaxial Chamber.